Trials are harder and harder in Elder Scrolls Online. To challenge trials, you need veteran items to equip your class. Deltia's Gaming recommends three pieces of undaunted medium armors. - Increase resistance to critical hit by 90. - Create a beam that steals +720 Health from target. 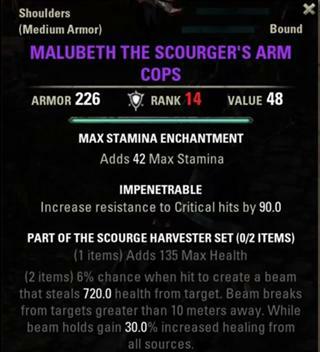 Malubeth the Scourger's Set can be found in Wayrest Sewers Serpent Boss (the first major). It is perfect for NB Tanking. - Reduce the cost of Sprinting by 9%. -(Two items) Add 2% chance when healing an ally to create a totem for ten seconds. 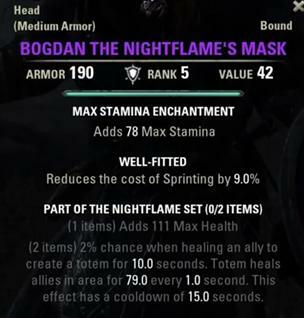 To gain Bogdan the Nightflames Mask, you can explore in the Elden Hollow Veteran Dungeon. It is amzing that you equip Templar healer or class without self heals like Nightblade with this ESO item. - Drops meteror for massive AOE damage. 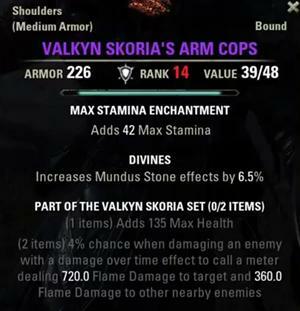 Valkyn Skoria's Arm Cops is the items dropped from last boss in City of Ash. It is beneficial to all classes in the game world.